Just in the United States alone, more than 1-trillion gallons of untreated sewage and waste finds its way into the water supply every year. 70 percent of the planet is covered in water. Only 2.5 percent of that total is fresh water that's fit for consumption, since the other 97.5 percent is salt water from our oceans. 14-billion pounds of garbage is dumped into the ocean each and every year. Though industry is a big offender, much of this garbage comes in the form of littering in the form of household waste, food and beverage containers, and other waste we produce that doesn't find its way to a garbage can. 30-billion tons of sewage is dumped into rivers, lakes and streams worldwide every year. This is already a problem of epidemic proportions in places like China and Bangladesh where some 85 percent of the water supply is severely contaminated and not fit for consumption. It's estimated that over 70 percent of all industrial waste produced worldwide is dumped untreated into our oceans, rivers, lakes and other waterways. Dangerously toxic chemicals and elements like lead, mercury, cadmium and arsenic are just a few of the offenders that find their way into municipally-treated water and most of the bottled water you buy on the shelf of your supermarket. Each can lead to a host of health problems including frequent unexplained illness, kidney and liver failure, and cancer. 15-million children are estimated to die each year from the side effects of consuming improperly purified water. Nuclear waste is a big problem in our oceans. Over 2-million gallons of water alone was dumped into the Pacific Ocean as a result of the crisis that occurred at Fukushima in 2011. Most of us take it for granted that the water we drink is “safe” but finding water that's truly free from contaminants such as sewage, industrial waste, agricultural run-off and other forms of human waste and chemicals that find their way into the ground water, is extremely difficult in a world with over 7-billion people living in it. It's near impossible to find water that's free from environmental pollution without traveling far from civilization. 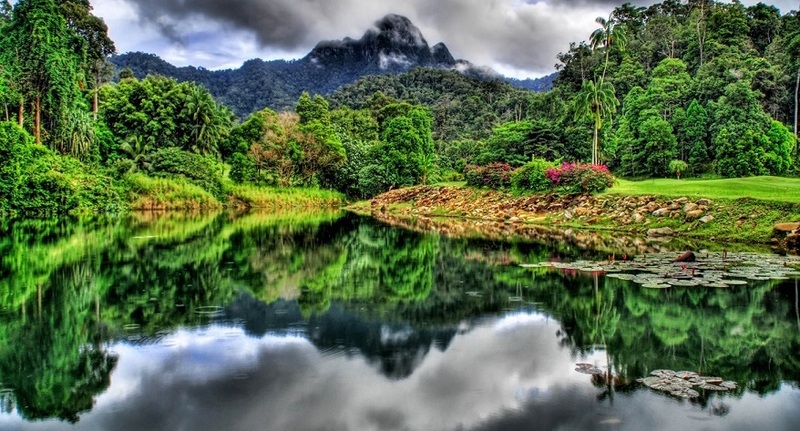 Into places such as the Malaysian Rainforest, for instance: which contains a natural underground aquifer containing the world's healthiest mineral spring water, naturally filtered by thousands of acres of land. Many parts of the rainforest have still never had human feet step foot on it. One Water is a company born in the middle of an untouched 1,000 acre section of the Malaysian Rainforest (part of the Amazon) which borders the mountain ranges of Titiwangsa. Such areas are affectionately known as “Jewels of the Earth” because they're so far removed from modern civilization and its resulting effect on the nature that surrounds it. After years in business and multiple rounds of laboratory study, our reputation is beyond repute in terms of the purity and healthful trace mineral content each drop of our water contains. All of our collection wells have been tested and certified by the Malaysian Ministry of Health and are rich in potassium, calcium, magnesium, sulphate and chloride. 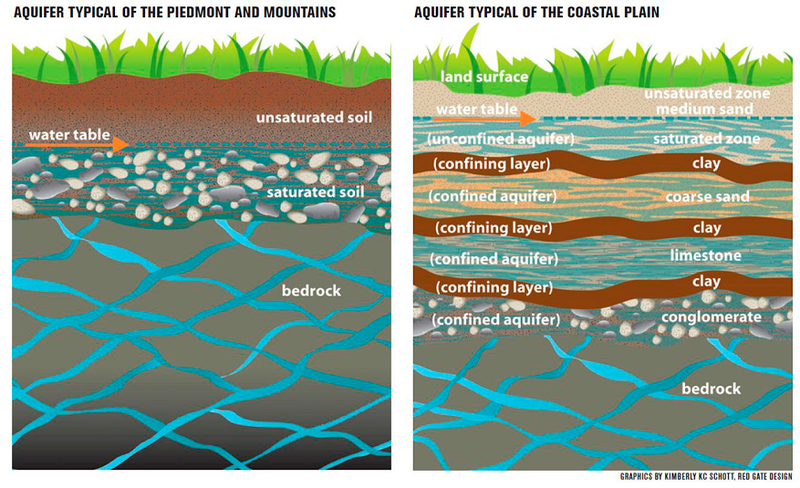 The unique aquifers that sit just below the surface filter the water naturally, meaning that each bottle of One Water you drink is completely free human intervention, along with the environmental pollution and bacterial organisms you'll find in many other brands of bottled water. In addition, you're also getting further health benefits from the naturally high levels calcium and magnesium in the underground rock formations that make up the natural filtering system. These two elements are also what give One Water its unique taste which it's quickly becoming famous for. Rest assured that each drop of water that leaves our privately owned 100,000 square-foot bottling facility is of the purest quality having been nestled, nurtured and protected deep within the jungles of the Malaysian Rainforest since the last ice age. If you'd like to learn more about how One Water mineral spring water (free of pollution) can benefit your health, feel free to contact us with your questions anytime.